A major in speech pathology and audiology consists of a minimum of 35 hours in speech pathology and audiology plus additional course work specified by the department. These additional requirements include course work in general education, supporting courses outside the department, and an academic minor. Each student is responsible for obtaining advising information about degree requirements and for taking the steps necessary to meet those requirements. Students interested in a major in speech pathology and audiology should contact the advising office within the College of Health and Human Services for an appointment with an undergraduate advisor. Because the sequencing of courses included in this major is critically important, students must seek academic advising on an early and regular basis. Students who fail to do so risk the need for an additional period of study to complete the undergraduate curriculum. Students who seek a career as a Teacher of the Speech and Language Impaired in the public schools (in states which require teacher certification for such employment) must complete an undergraduate professional education minor and earn a master’s degree in speech-language pathology. Completion of the curricular requirements of the undergraduate minor in profession education, and completion of a graduate degree in speech pathology (including a graduate level six credit hour school internship in speech-language pathology) will result in recommendation of the student for Elementary Provisional Teaching Certification. Simultaneously, the master’s degree recipient in this track is approved for employment in Michigan as a “Teacher of the Speech and Language Impaired” and typically also will have completed the academic and practicum experiences required for employment in other, clinical settings. 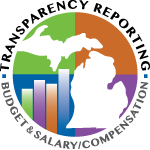 Although Michigan does not require Teacher Certification for speech-language pathologists or audiologists employed in the public schools, other states may require such certification. A graduate emphasis in audiology does not satisfy Teacher Certification requirements. Students who seek careers in settings in Michigan (for example, in schools, hospitals, community agencies, and rehabilitation centers) are not required to complete the requirements for teaching certification outlined above. Students in this case are required to complete an academic minor in an area such as holistic health, Spanish, biology, business, social work, physics, psychology, gerontology or another related discipline. Assistance in selecting an appropriate minor is available through the college undergraduate advisor. Completion of the curricular requirements, together with the completion of a master’s degree program in speech pathology or doctoral program in audiology, typically satisfies all academic and practicum requirements of the American Speech-Language-Hearing Association for a Certificate of Clinical Competence in the emphasis area (speech and language pathology or audiology) pursued in graduate school.